Sanitizers are the backbone on of swimming pool maintenance. The job of a sanitizer is to kill bacteria and ensure that your swimming pool is safe to use. Maintaining a proper level of sanitizer is essential to providing swimmers with safe and healthy water. 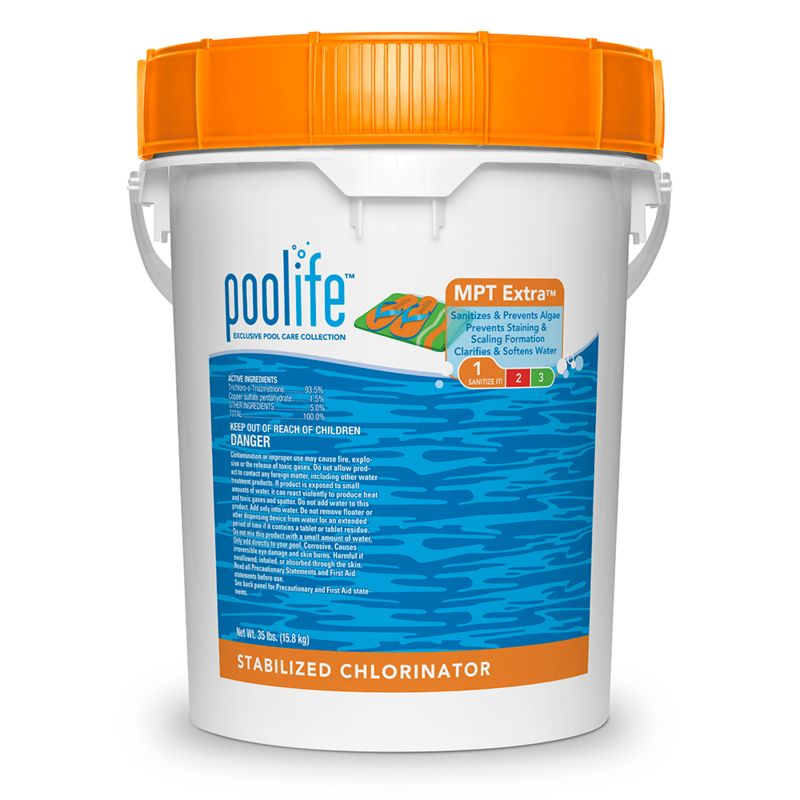 With Poolife® Brite Stix™ sanitizer, you have access to a premium product that doesn’t just work harder, but smarter to offer long-lasting coverage for your water. 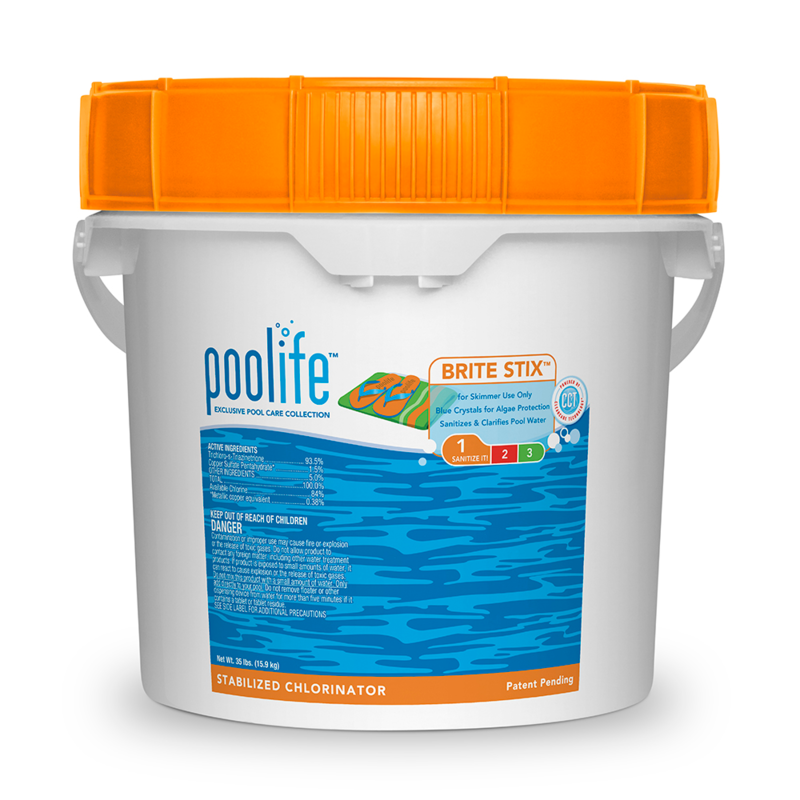 Designed for multi-pool care defense and protection, Poolife® Brite Stix™ product sanitizes, clarifies and softens your water with a controlled delivery system for brilliant protection and clarity that won’t dissolve in a matter of days. That’s what makes these premium sticks superior to the competition—a brilliant idea made even better with Poolife®’s patented ClearCare™ Technology additive (CCT™), for a clear difference you can see and feel. All sanitizing tablets are not created equal. 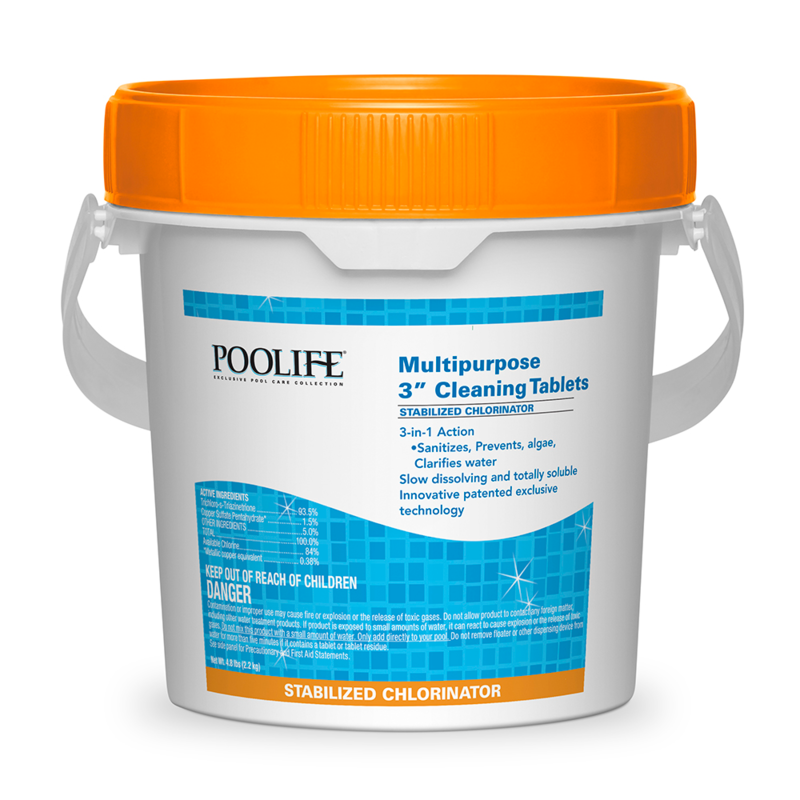 With the advanced formula in Poolife® MPT Extra, the multipurpose tablet you know and trust gets a major upgrade featuring softeners that produce a luxurious feel in the water. Better yet, the sanitizing action remains the same – making it the perfect first step for a system when paired with TurboShock and Defend+. 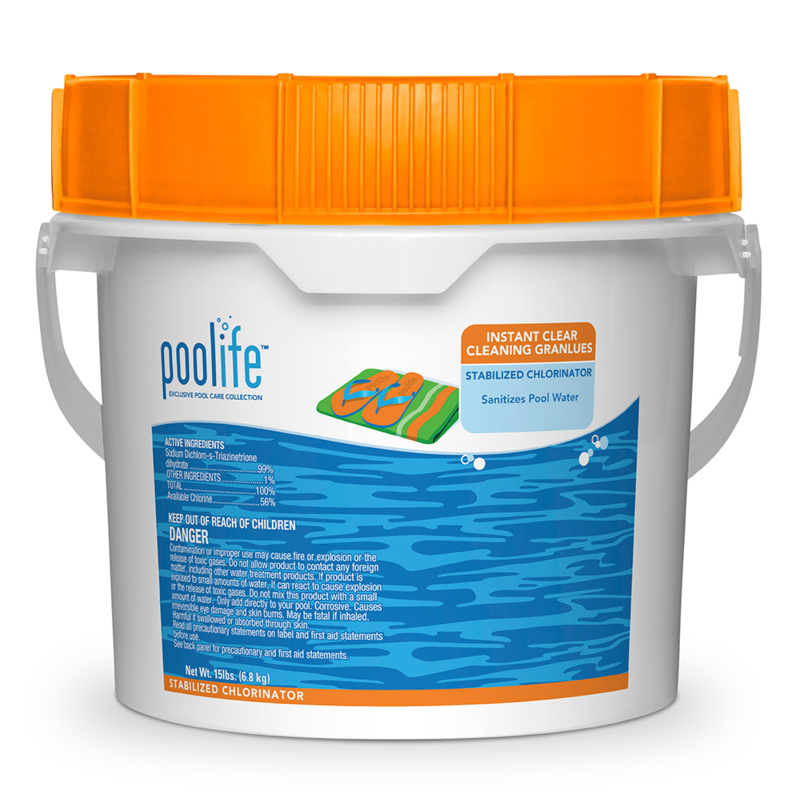 These unique Poolife® Multipurpose 3" Cleaning Tablets were developed using new all-in-one technology to provide continuous chlorination, clarify pool water and prevent algae growth. The patented formula prevents algae growth for up to 8 days longer than regular 3" trichlor tablets. These proprietary tablets are sun protected for extended chlorine life and can be used in floaters or feeders. 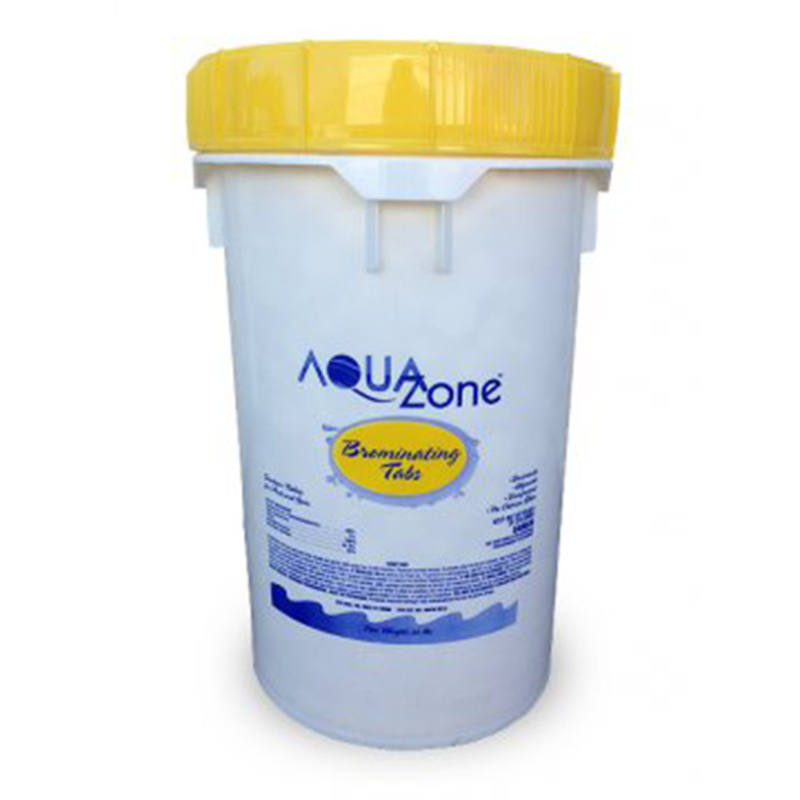 This product is an effective multi-purpose sanitizer and shock that protects against chlorine loss, optimizing pool usage and swimmer comfort with no sediment. This product is convenient and easy to use to control the growth of algae, kill bacteria and destroy organic materials.